Hands have translated, in grasp, many visions on this farm. I’m amazed at how much dreaming and learning the brain can do, and to have it all come out in the palms, the building and sculpting of neuron fire. 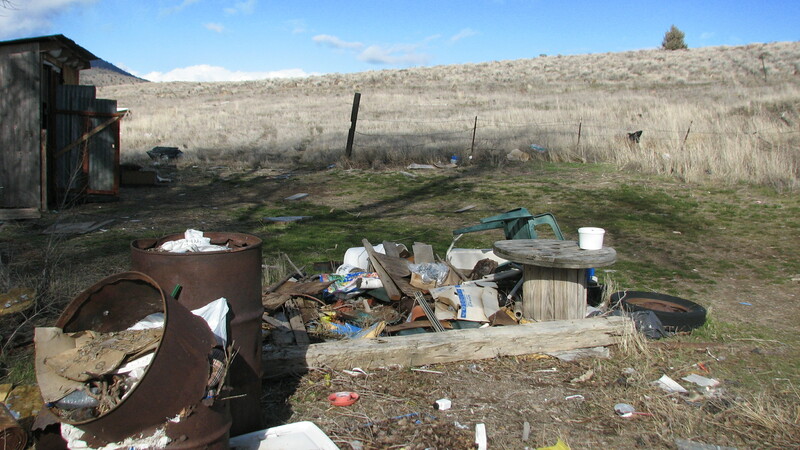 To think of all the incarnations this property has had, from pastured cattle, standing fields of alfalfa and rye, a once young orchard, buildings for chickens and racing pigeons, even a certain Sativa Illegalis. You pull the past out of a place, a sun bleached cow’s tooth found on the hill side, a rusty sythe and feathers shed. Fences laid out, working hands once setting boundaries that held importance in someone’s, now historical, present; a vision that has expired, but the fence lines still hold. And what of this year and all the work done? Adding to the story, the visions, and of hands building a life. Each little seed was a project this year, germinating and growing into tasks that needed to be done, tending to life. But, when I think about the work of hands this year, my mind will be drawn to ones covered in mud and faces wearing white smiles. 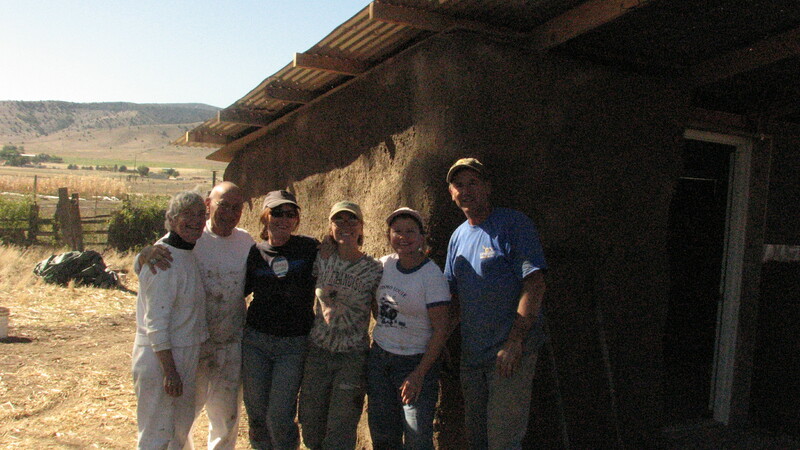 Work blurred with play, as clay binded with sand, and straw bales met earthen plaster from the same geographic region they had grown in. 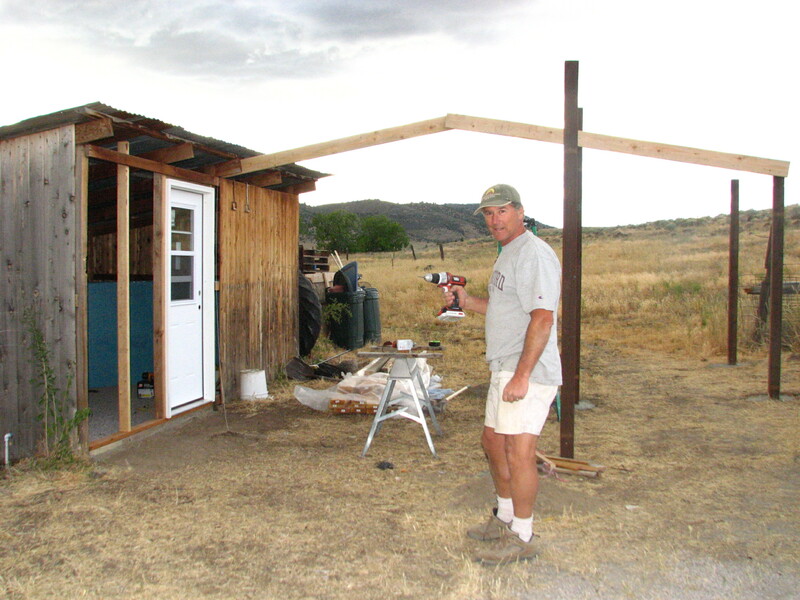 Insulating this shed with R-Max and store bought materials would have potentially been less money, less time (a weekend’s worth of work), and less joy. It’s not often that we put money, time and joy on a scale against each other. We’re taught that the math is simple and that money and time trumps. 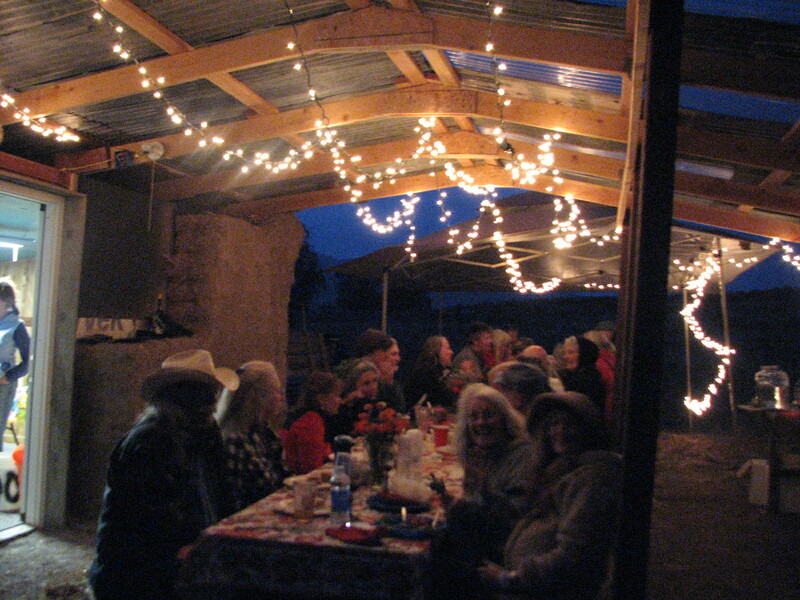 But, I’ve learned that on a farm the scale shifts and money and time become nebulous when weighed next to joy, food, family and the cycles of nature. 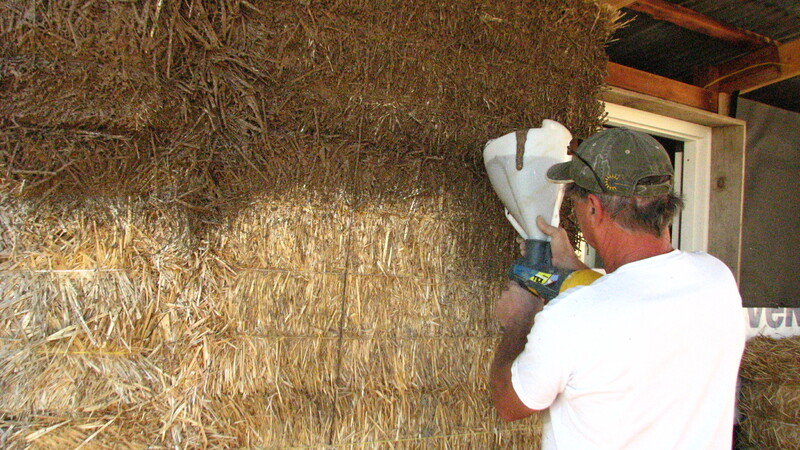 I didn’t know what I was getting into, ‘Insulating a Shed with Straw Bales and Applying an Earthen Plaster,’ the internet search results came in lean, but the concept felt healthy and strong for the life of this farm. 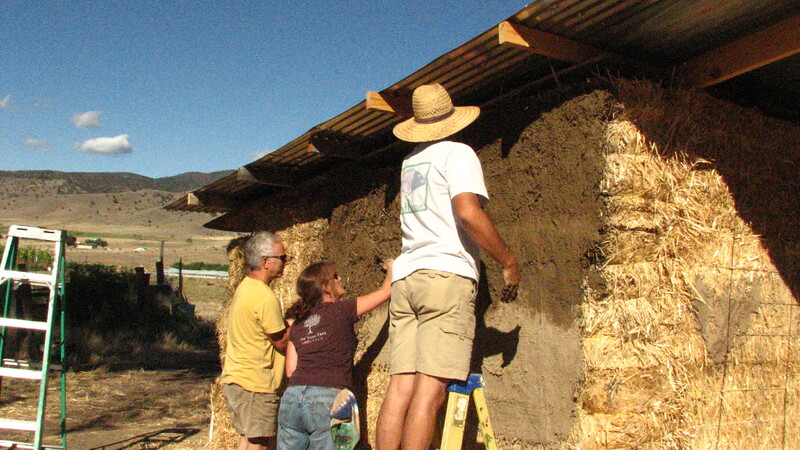 With a lot of faith and some substantial information gleaned from Dancing Rabbit Ecovillage and “The Straw Bale House” by Steen and Brainbridge, the shed is shining in it’s new insulating layer of local straw, local earthen plaster and layers of work by loving hands. Thank you deeply, to all those who built, shaped and played with this project! 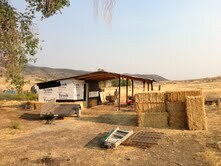 An old shed, built from beautiful Siskiyou County straw, earth and family; Homeward Bounty’s new vegetable cold storage! Buying a farm, ‘as is’! Shed in the back ground. The shed all cleaned out. 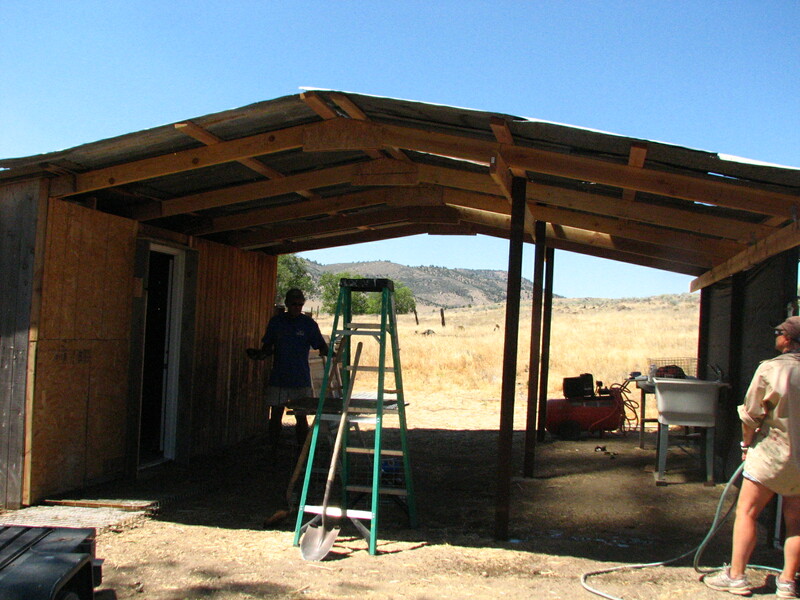 Working on extending the roof line and including a vegetable washing station. 40 bales of locally grown straw! 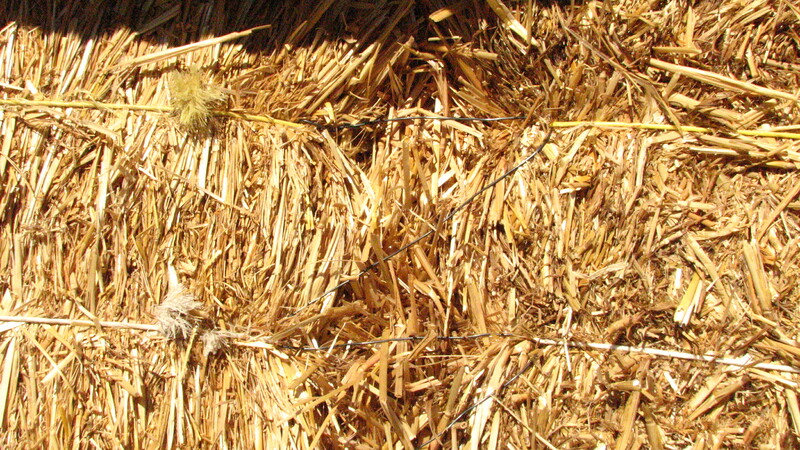 Stuffing straw in the gaps of bales and sewing it in with wire to keep it strong. 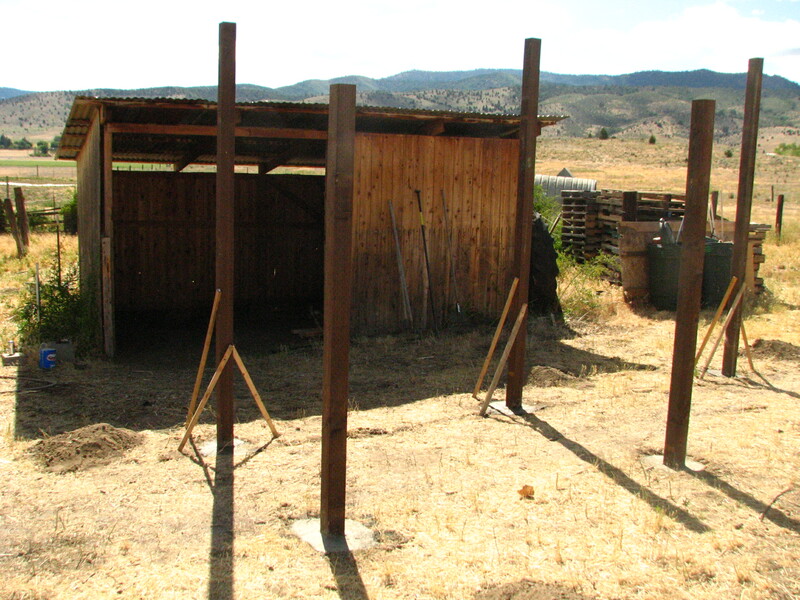 We also attached wire to the foundation and roof to keep the bales from falling down. 1st coat – A mix of clay and water applied with a texture gun. 2nd coat – a mix of 70% sand to 30% clay, fresh cow manure and a gluten paste. 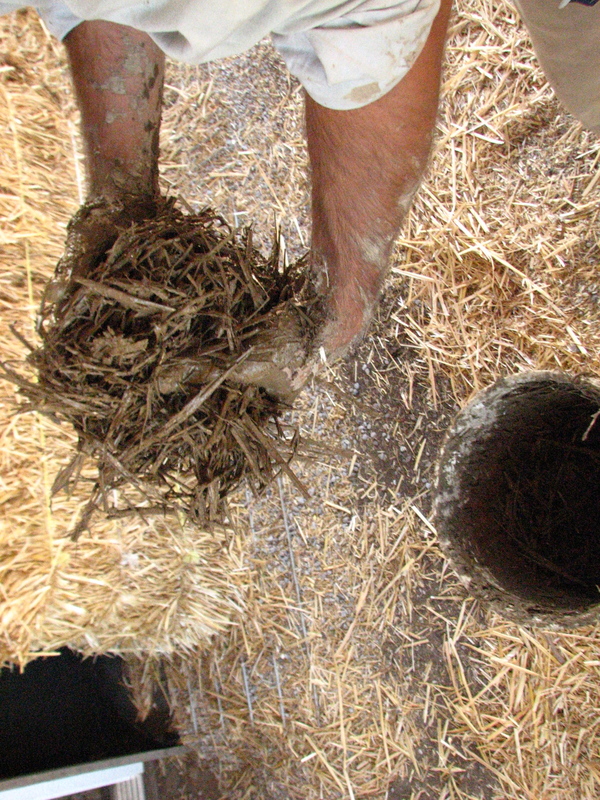 Gaps were filled with straw soaked in clay and water. Good thing we had a dry place to set up for the harvest dinner! 3rd coat, one month later! What a dedicated crew! Oh, this really struck a chord with me — we all need to find what brings us joy and factor it in to our choices in life. More priority on joy and connection is precious and so fulfilling! Bravo for your efforts, your creativity, and playing in the mud to make something so useful! Love it!